Do you own a point and shoot camera? Are you having bad times taking your own pictures? 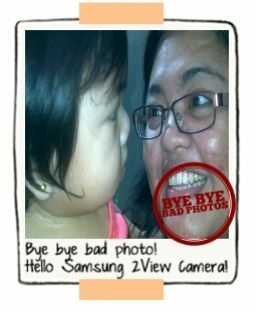 Now say “Bye Bye Bad Photos Say Hello to a Samsung 2View Camera”. Yes, Samsung is back with another exciting online promo! 1. Become a Fan of Samsung 2View Camera PH Fan Page. 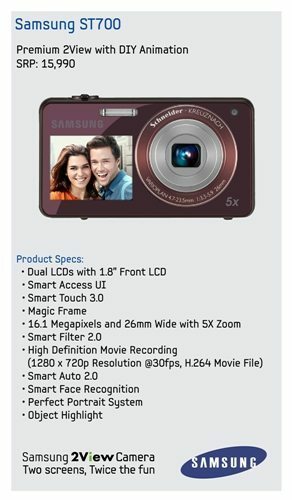 Just go to www.facebook.com/samsungcamerasPH and register to join. 3. 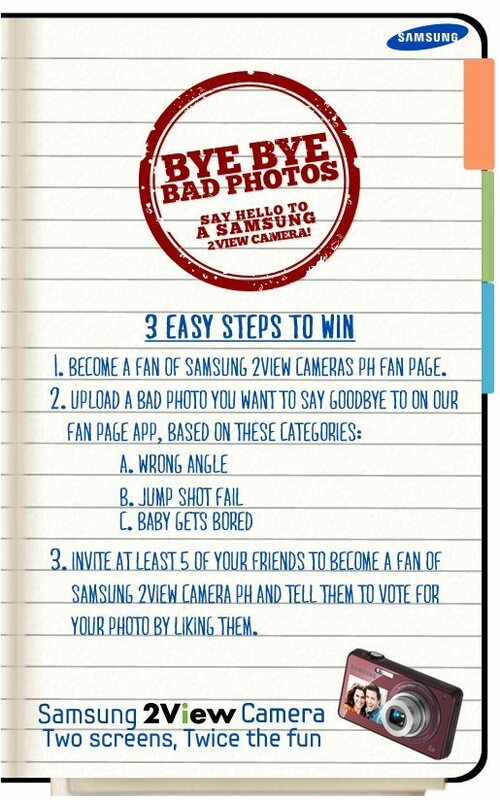 Invite at least 5 of your friends to become a fan of Samsung 2View Camera PH and tell them to vote for your photo by liking them. 1. Promo duration is from May 31, 2011 to July 31, 2011. 2. All entries will be judged if they do not violate the promo guidelines. 4. Get a chance to win either one (1) of three (3) Samsung 2View Cameras. 5. Promo is open to all Filipinos aged 18 years old and above. Must be residing in the Philippines. 6. All employees of Samsung Electronics Philippines Corporation, their agencies, third party dealers and suppliers’ employees, and their relatives up to second degree of consanguinity or affinity are disqualified from joining the contest. For more information regarding the promo and for the complete mechanics of the photo contest you can go to Bye Bye Bad Photo application. As I have mentioned in my previous post, Win a Samsung 2View Camera, I personally like Samsung ST700, one of the Samsung 2View Camera Series, together with PL170, PL120. It’s almost the same as the Samsung PL170 but it has a Smart Touch 3.0 feature which enables users to drag, click and control ‘app-style’ icons. With Samsung ST700, I can surely flip through photos easily and control a range of the camera’s features quickly and intuitively. With these features, it’s a perfect camera for me that my husband and I can use during our travels and of course, when we attend several blogging events. Because of this 2View feature I can be sure that I am taking a good picture of myself. Not only that, a “Child Mode” feature is integrated, to keep the child smiling when you take pictures with them. Jump shot is also one of the main features of the new Samsung ST700, which displays a countdown in its front LCD screen, before taking three fast shots of you and your friends jumping and smiling. 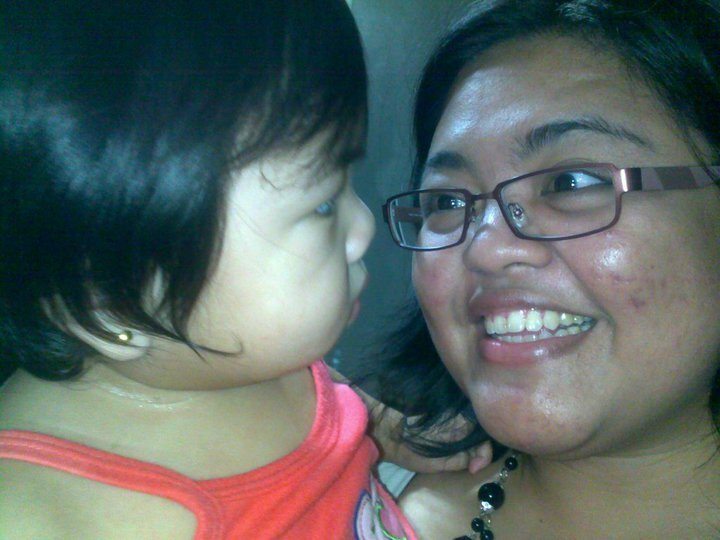 The photo above was taken during one of my bonding moments with my niece, who is also my goddaughter. I always love to take pictures of us together but I hate to bother other people to take my picture with her, so I have no choice but to be contented with our pictures together, where, take note, most of them looked like these. I mean, I have similar pictures that my niece looked somewhat confused of why I’m smiling and then point my camera to us. She was not aware that I’m taking a picture of us; so as a result, she’s looking at me instead of looking at the camera and smile. How about you, do you have similar problems? Please feel free to share your story in the comment section below. I certainly would love to “hear” them. I really like this new Samsung cam. Innovative talaga! haha that is a funny photo alright…hmmmm gusto kong mag join! again..dami nyo from PMC..hehehe..gustoo ko yung feature na nakukuha ang attention ng kids..i’ll vote for sure..